Immediately after Japan's attack on Pearl Harbor, President Franklin D. Roosevelt sought to restore the honor of the United States with a dramatic act of vengeance: a retaliatory bombing raid on Tokyo. On April 18, 1942, eighty brave young men, led by the famous daredevil Jimmy Doolittle, took off from a navy carrier in the mid-Pacific on what everyone regarded as a suicide mission but instead became a resounding American victory and helped turn the tide of the war. 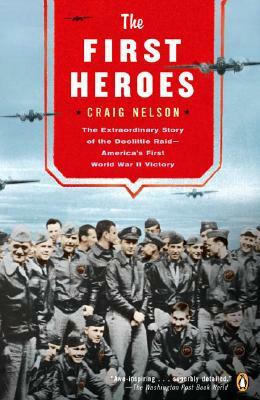 The First Heroes is the story of that mission. Meticulously researched and based on interviews with twenty of the surviving Tokyo Raiders, this is a true account that almost defies belief, a tremendous human drama of great personal courage, and a powerful reminder that ordinary people, when faced with extraordinary circumstances, can rise to the challenge of history.